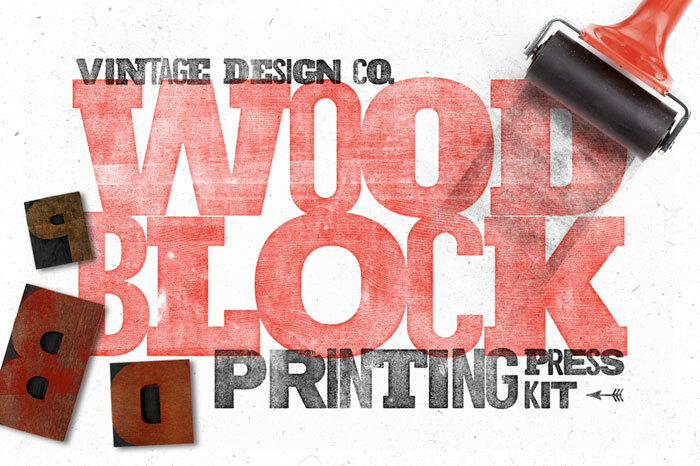 The WoodBlock printing press kit for Adobe Photoshop by Vintage Design Co.
With the WoodBlock printing press kit you can create natural looking letterpress designs. You can make your work look like it’s been printed on an old press with different type blocks made of wood. 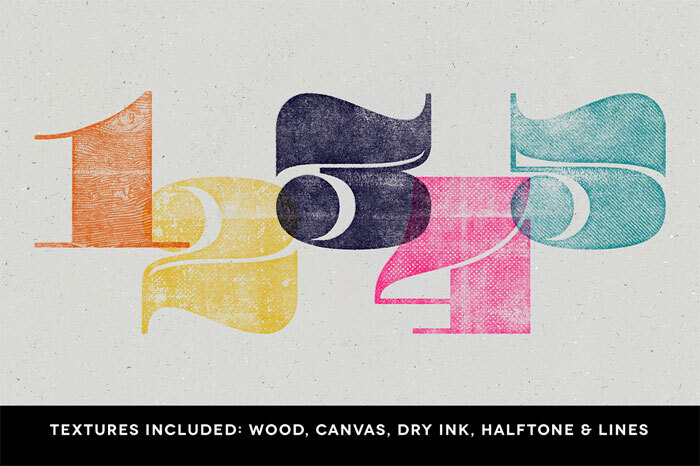 In addition, the kit also includes effects such as halftones, canvas, dry ink, and rough lines. All these effects are included in an Adobe PSD file. You only need to add one or two layers of your work and a multitude of different textures to get realistic rough ink effects. The complete WoodBlock printing press kit is equipped with 47 wood brushes in order to make your work look like every letter or block has been individually chosen and added to the press. You can download this PSD kit for low budget on Creative Market. 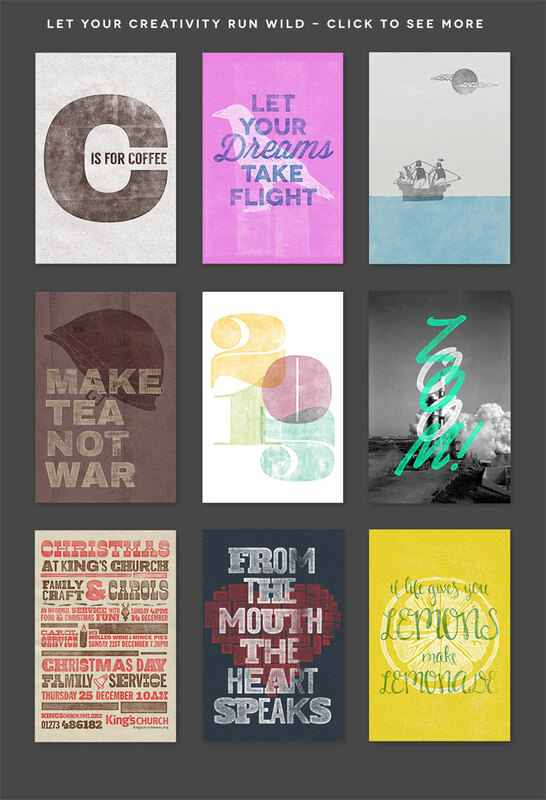 Wood Block – Gallery of examples of use. The WoodBlock printing press kit. 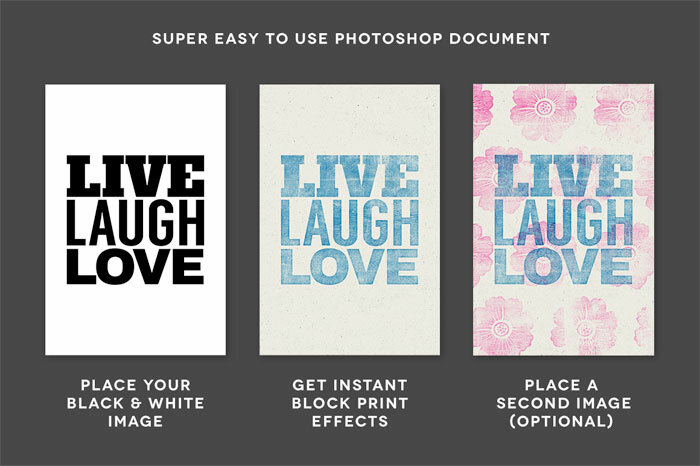 The letterpress effects of the WoodBlock printing press kit are very easy to use within your Adobe Photoshop file. The textures include differents effects and styles such as wood, canvas, dry ink, halftone, and ink. 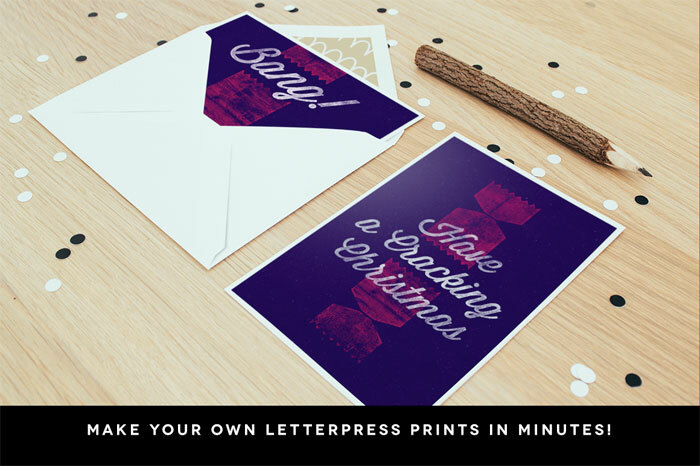 You can create your own letterpress prints easily and in minutes. Check out more graphics and templates here.